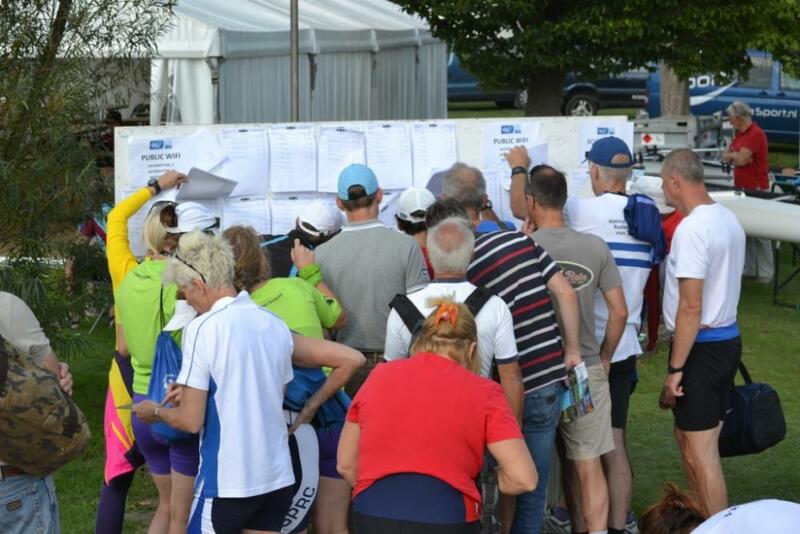 The results were also on-line immediately after the race but I like the old-fashioned way of discovering the results on a notice board and discussing them immediately with your opponents. Cycled home from work today. As usual. Average HR 128, 43 minutes. As an experiment I used the Strava app on the iphone to record the ride. The advantage is that it gets correctly marked as a bike ride and automatically uploaded to Strava. Then Tapiriik does it’s magic and it all appears in SportTracks and Garmin Connect as well. After dinner I set up a 30 minute and a 25 minute session on RowPro. The 30 minute session was a solo row, but for the 25 min I had company from the UK. I did steady state with bursts. In the 30 minute session I did a faster 1 minute every 6 minutes. Same for the 25 minute session, but with a 5 minute cycle. 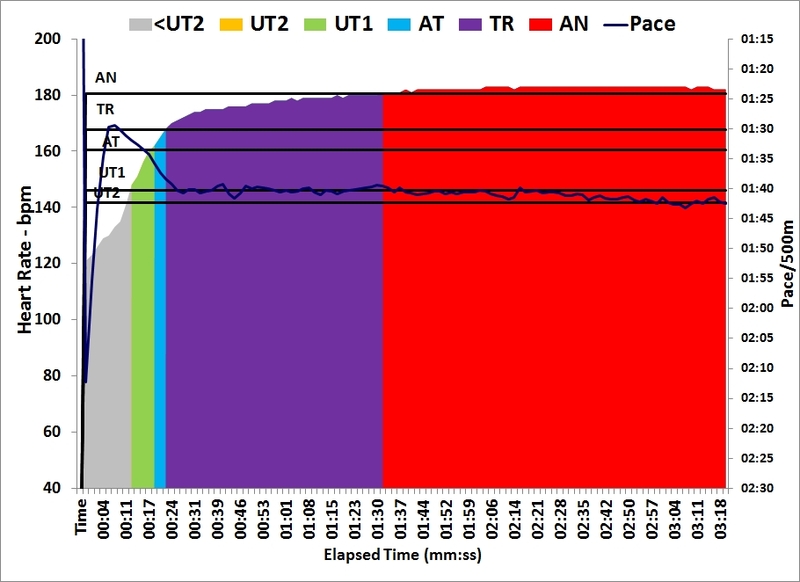 The “bursts” were at 22, 24, 26, 28 & 30 spm in the 30 minute row and at 30, 28, 26, 24 & 22 spm in the 25 minute row. Pick up my trailer from Jundrov, drive to lake. Join work related call from clubhouse. Row. Load trailer. Sprint races on Saturday. What does Das Buch say? Here’s a quick summary. 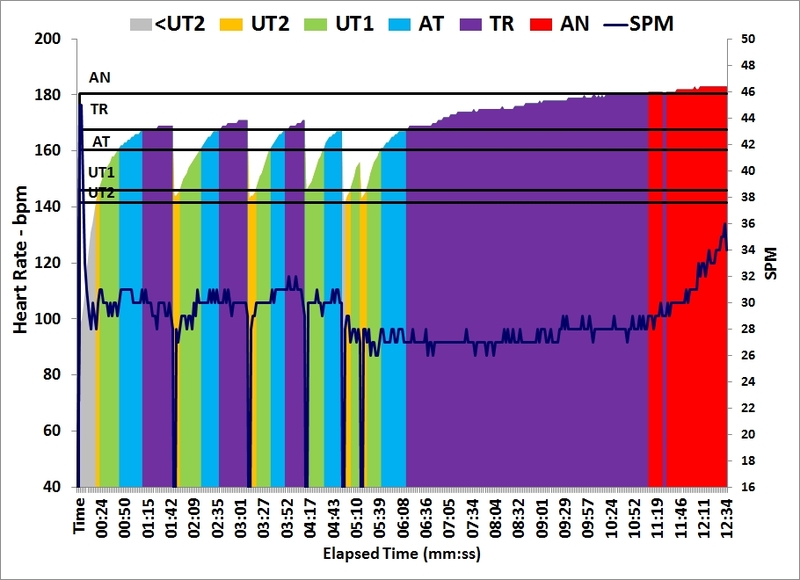 First of all, for a Masters C rower, Das Buch advised that roughly 25% of boat kilometers are Compensation, 50% Extensive Endurance, 10% Intensive Endurance and 5% race specific. Race specific is not going to happen during the preparation period (October – April) that I am planning right now. 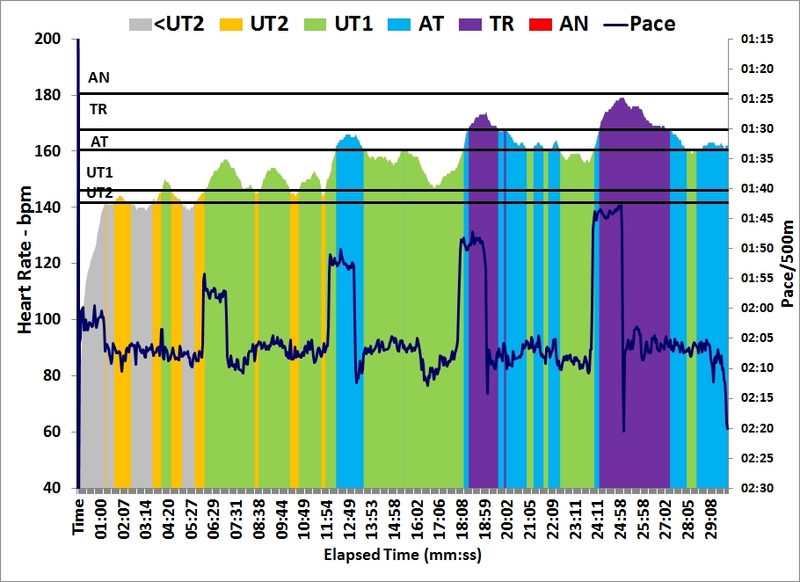 Another good remark is that most Masters rowers chose a too high training intensity. I guess we know the syndrome. Let’s do those fun interval sessions. It feels hard so the training effect must be high! 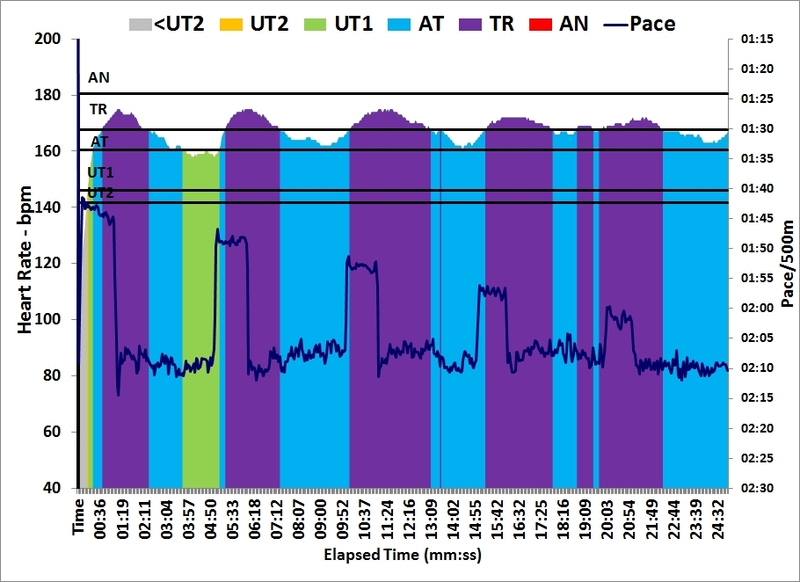 So Extensive Endurance looks quite like what the Wolverine plan calls L4, while Intensive Endurance seems to be a mix between L3 (hard distance), L2 and L1. 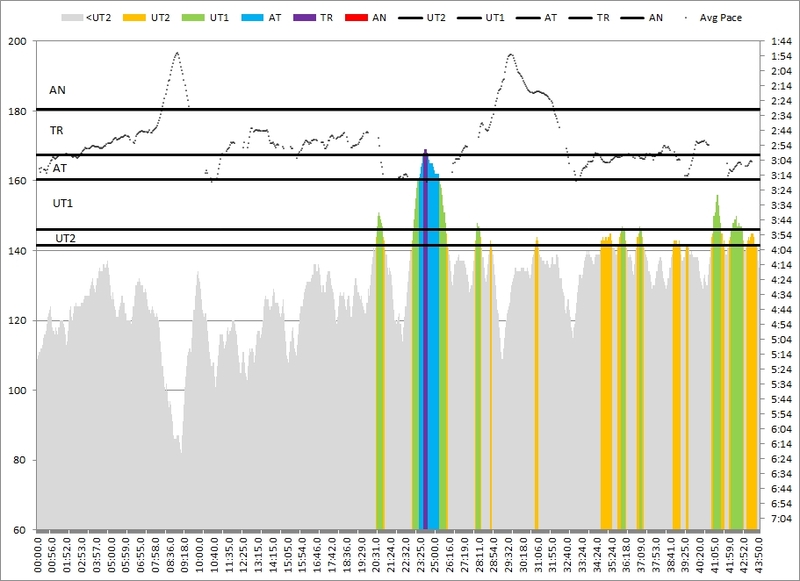 I want to extend the quidance (in terms of time spent, not km) to erg and crosstraining. I am currently thinking of 25% compensation (mainly crosstraining), 50% extensive (rowing, erg, and crosstraining), 10% intensive (erg and rowing) and 10% strength training (circuits, weights). I am open to discuss this. When on a business trip, I will have to substitute rowing with running, hotel fitness triathlon, or do a weights training. I have mapped my regular destinations, so I know the hotel in Toulouse with the Concept2, the Crossfit boxes in the US, etc. Should be doable. Strength endurance. I have had good results from rowing with a bungee so I am definitely going to do that. I prefer to avoid the erg with high drag factor. I don’t like to take risks with my back. 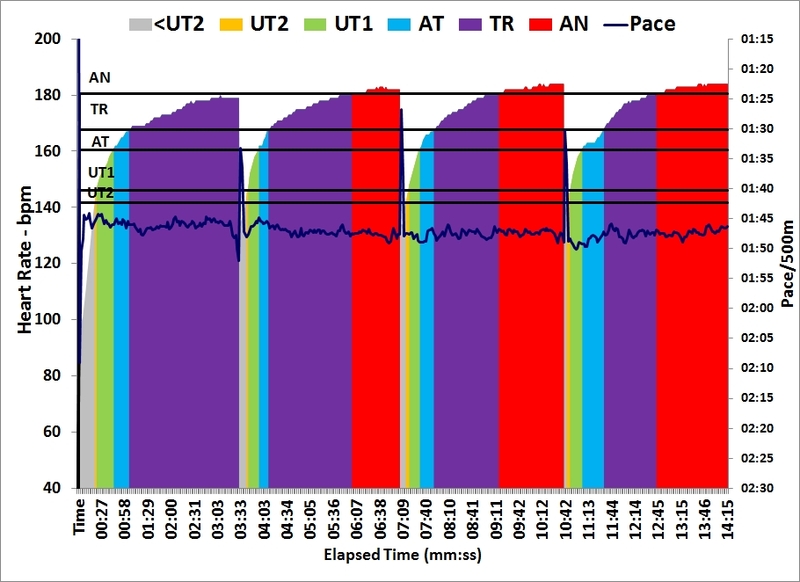 For the extensive sessions I will vary “just row” steady state, steady state with bursts and “L4” rate ladders. Seems to be in line with Das Buch. For the intensive session I will focus on Pete Plan L2 sessions and hard distance. Will do Pete Plan L1 (short intervals) occasionally, and during sprint season. I also like the red lining idea. You basically go at a pace that you cannot sustain for the entire duration, hold it for a few minutes, then go below, than above. Think of it as hard distance but instead of constant pace you oscillate above and below what you can sustain. I will try to list the sessions per week, but each week I will need to smartly adapt the order to my work and travel schedule. 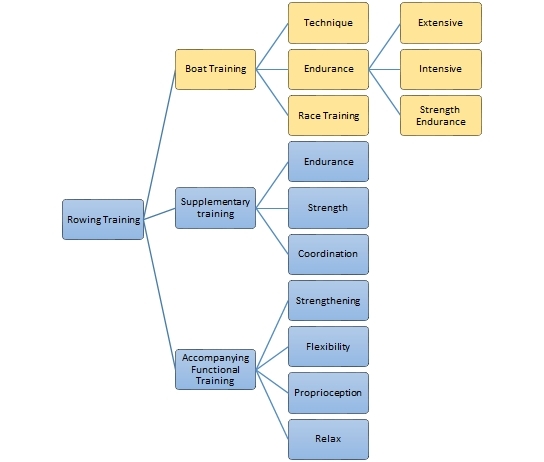 I don’t understand the example trainings under “threshold training”. They all seem like valuable training sessions but I am not sure they fall in one category. 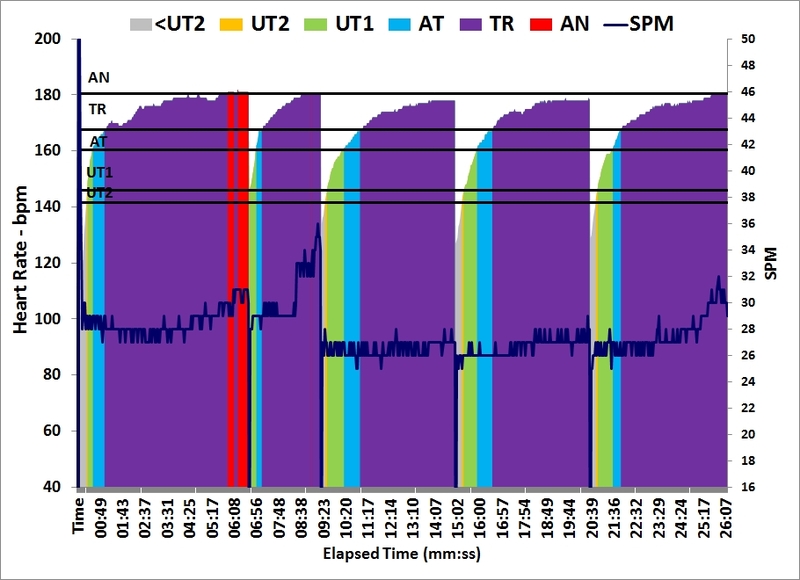 The rate restricted 4x2km seems to aim at a completely different training goal than the high rate stuff. Anyway, I will pick a session from that list now and then, to spice up training, but it has to be in the 10% intensive category. The training plan is not ready. In subsequent blogs I will share more of what I learned in Das Buch and how I try to implement (some of) that in my draft plan. As I just said, my new training plan is still not complete, so I am repeating what I did a year ago. Looking in my training log, I did a 4x1km on this day a year ago. So without thinking I scheduled a 4x1km on the erg. 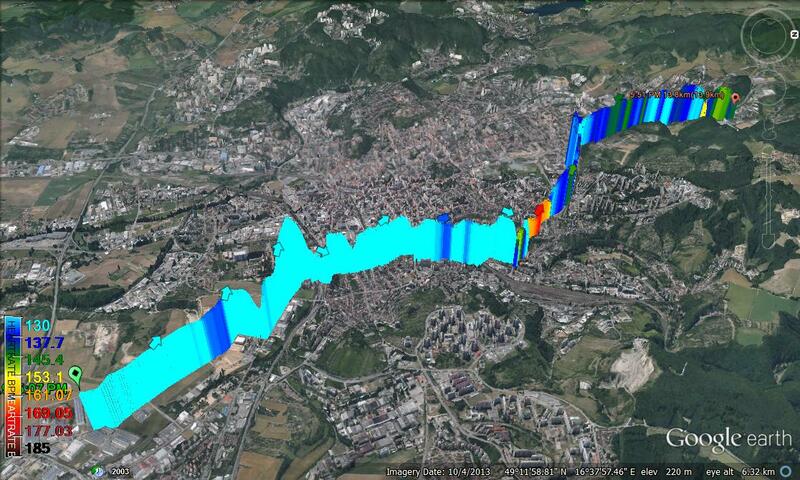 However, as a race preparation for the head race on October 17, I decided to row it “at head race pace”. But first, a little experimenting with compensation cross-training. At the end of the working day I grabbed my bike from the underground parking and rode home. Think it qualifies as compensation training. 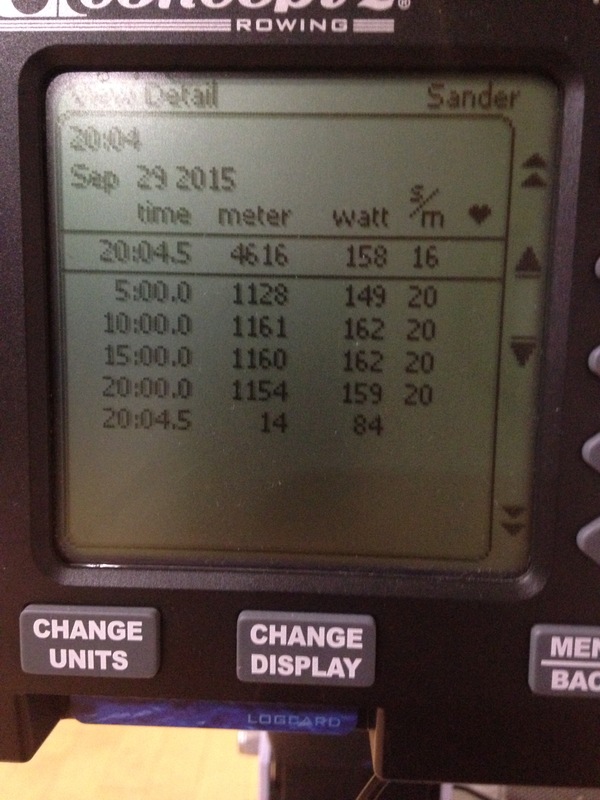 At home I had a quick dinner, then a coffee, and then I descended into my erg basement. Interesting … in a single? Then it dawned on me that this must have been a double or a quad. I checked now, while writing this blog, and yes, I rowed this in a quad. 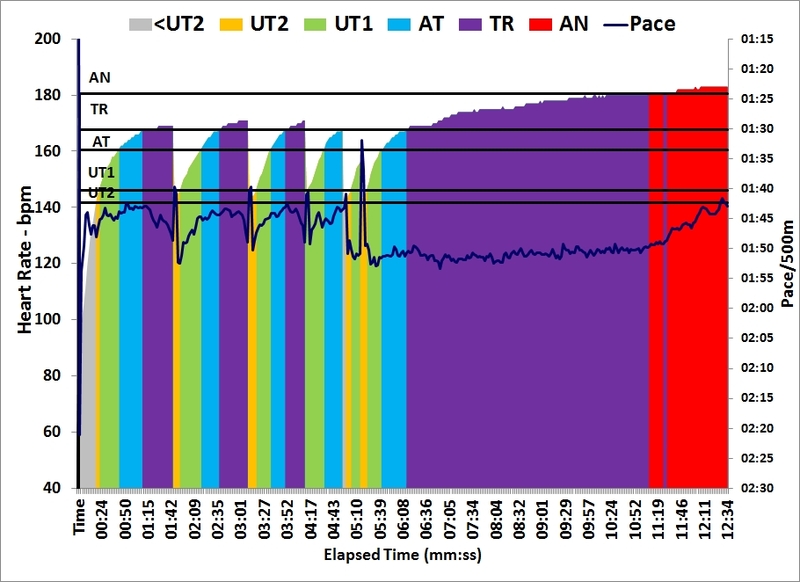 Today I really tried to keep this to head race pace, so I lowered the drag factor, rowed with closed eyes and tried to get into the 28-30spm rhythm. Every twenty strokes I quickly opened my eyes to check the stroke rate. 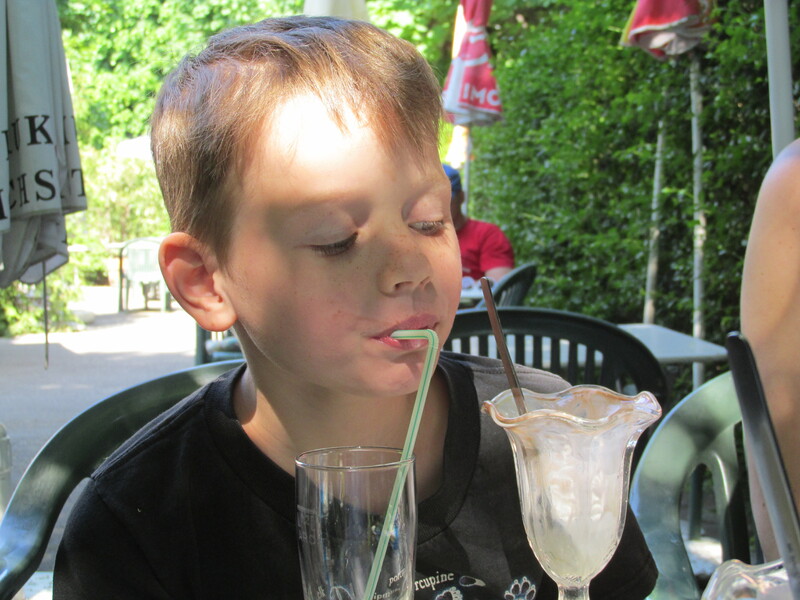 Perhaps not the smartest training, given all the good advice in the first part of this blog, but definitely fun. The plan was to go cycling with Romana but the plans changed. Our boys came back from camp yesterday. Unfortunately, their coach broke down and they had to wait 3 hours on a gas station before another one would pick them up. They seem to have had a great time, but Robin is a bit white and threw up in the night and another time this morning. I think they are just tired and need a day in front of the TV ;-). So I sat down to do CTC and if the Robin gets a bit better we’ll do a short ride in the afternoon. Just a ride to a nice country pub, have a drink and ride back. Not sure how to pace. Decided to do the short ones in 1:45 pace and the 2km in 7:30, which seemed reasonable. But ouch, this erg thing hurts after so many hours in the boat. It is weird. A week ago I held 1:49 pace in the single for almost four minutes. Now I had difficulty getting under that pace for less than 2 minutes. I did back down a bit on the 100m to make the “rest” a bit longer. The 2km was without issue. I was able to gradually ramp up the pace. Definitely not an all out affair. 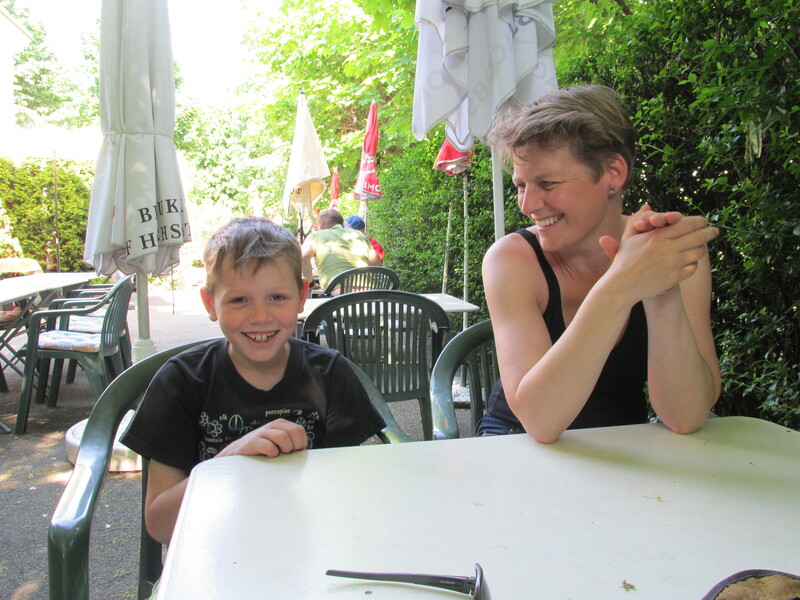 My sister and brother-in-law are in Vienna for a theater festival. Romana had to get up early because of the Junior Regatta. In fact, she was so nervous she was up at 5am. So I found myself on the erg at 6am. 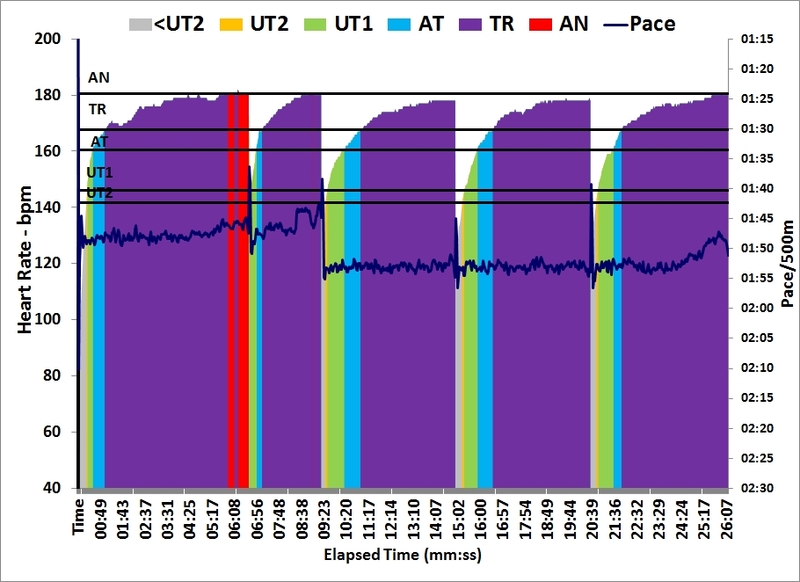 Did 5km steady state, then the CTC, then another 5km steady state. The CTC is 2 minutes all out. I figured I could do 630m if in Personal Best form, which would be 1:34 pace. The plan was to row it as the first 2 minutes of a 1km row, though. I knew I wasn’t in PB form. So 616m it was (1:37 pace). It’s interesting how much further a 2 minute is than a 500m. 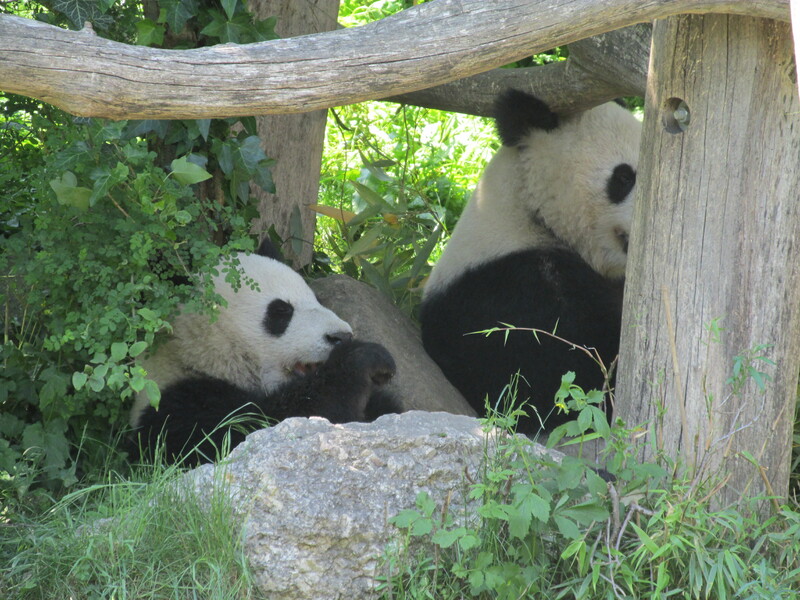 Had a great time in Vienna, visiting Schoenbrunn and the zoo. Spent most of the day at the rowing club. 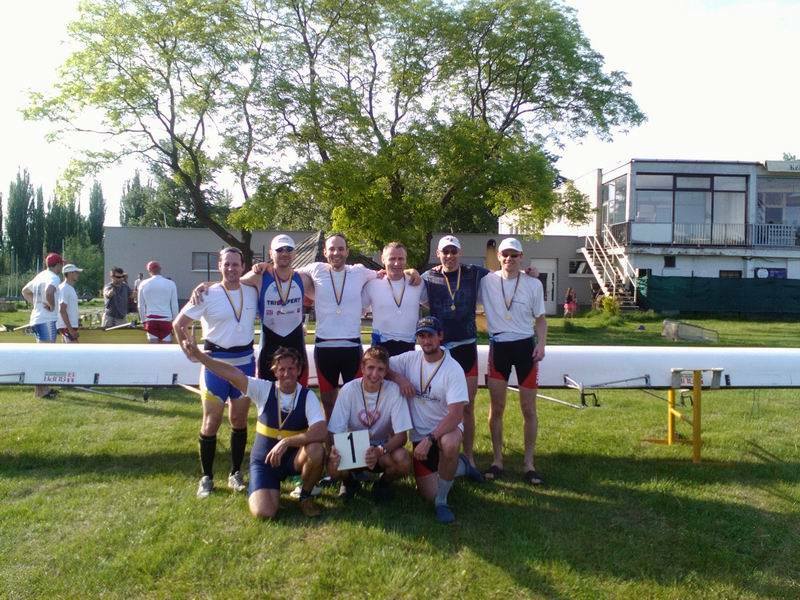 The International Junior Regatta was held in Brno this weekend, so I had to see Lenka perform (2nd in the B final in the girls 4x-, didn’t make it to A or B final in the double) and spend some time socializing with the rowing crowd. But the core team is the same. We missed a cox, so we grabbed one of our lightweight pair to cox us. Interesting to be coxed by a guy who just the weekend before has rowed the World Cup in the pair, and will be representing the Czech Republic at the European Championships in Poznan.